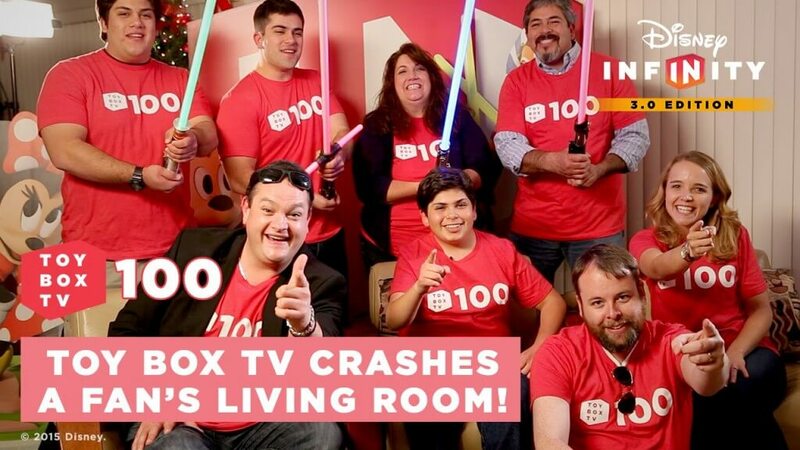 The Toy Box TV Team just hit a landmark episode…. EPISODE 100! They created a special episode to celebrate the momentous occasion! And huge congratulations out to friend of the site Joseph Gamboa who had his house crashed in by the Toy Box TV team! WELL DESERVED! Hard working guy who is an awesome person in the Disney Infinity community! Check out the entire episode below! And who is that good looking guy at 1:13?! You can check out my entire video I made to celebrate the Toy Box TV special 100th episode celebration below….